THE BEST FOREIGN YOUNG FEMALE !!! onita is my favorite female of all time! This Rottweiler female is not owned by Our Rottweiler kennel. 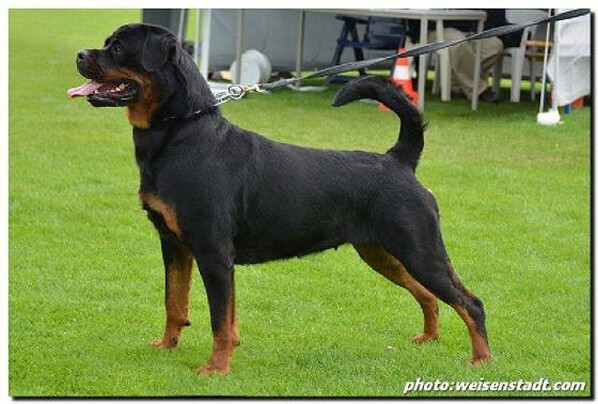 She was a ADRK Rottweiler female that was imported to USA in 2013. Before Bonita was imported she was bred to Tito Earl Antonius and poroduced a litter in Europe. Earl Antonius owns a eautiful female from that litter named Gerila Earl Antonius. Bonita was imported to USA with a repeat breeding of Tito. The "B" litter here was excellent puppies. We currently own a offspring from that litter named Busa vom hause Harless. Bonita was then bred to famous Lenz von den Hasserghohen and produced the "D" litter. From that breeding came Deuel vom hause Harless, another amazing puppy from Bonita. 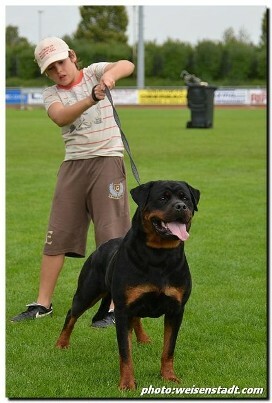 Rottweiler kennel, vom Wilden Westen is world known and has an excellent reputation in the Rottweiler world. 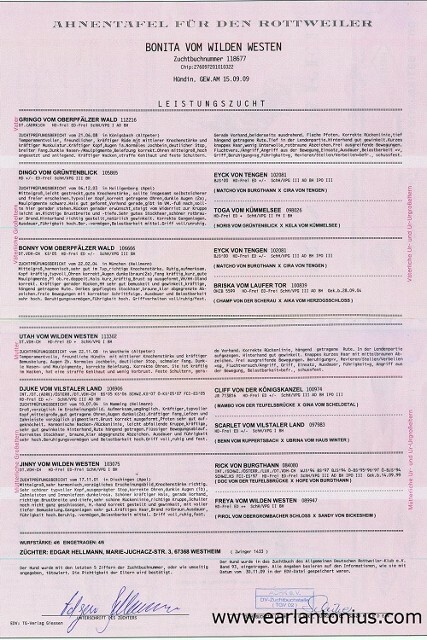 The owner of the vom Wilden Westen kennel is also the Vice President of the ADRK. 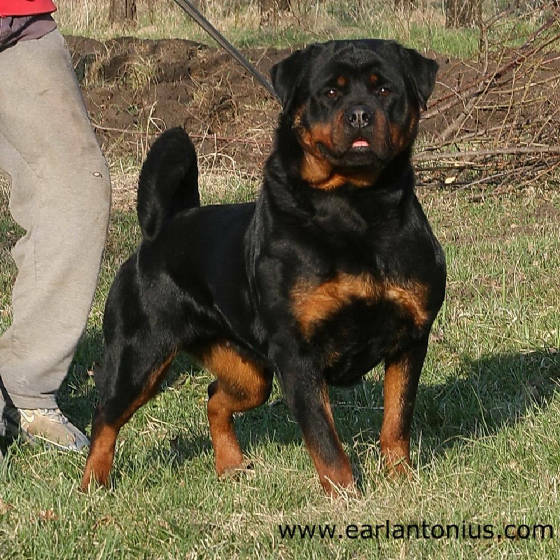 onita is an amazing Rottweiler female, and is known to produce in her offspring huge heads, excellent bone, dark eyes, black mouth, and exceptional temperaments. As Rottweiler breeders, I believe you would be happy with a Rottweiler puppy from this bloodline. Check out our Rottweiler puppies for sale.